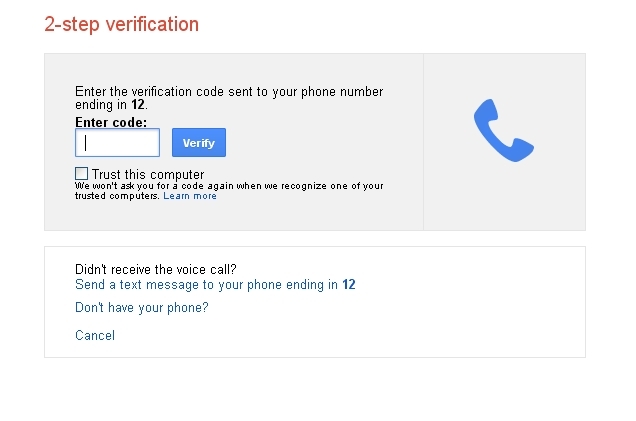 I thought this browser might overcome the lack of recognition of the "Trust this computer" option in Google's 2-step verification setup procedure. However, that is not the case, it seems. Can anyone comment why? Thanks. 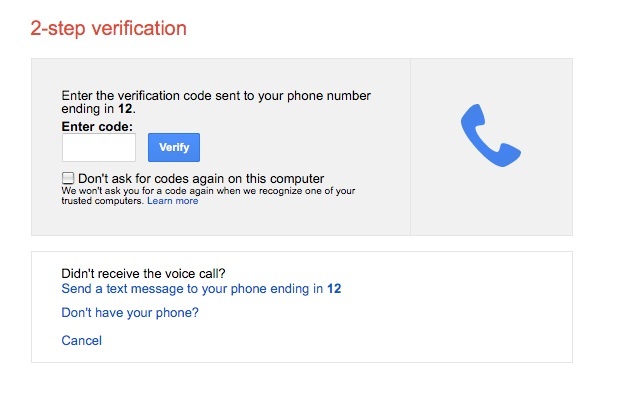 Attached is a view of the verification area with no presence of the link: "Trust this computer". On your screenshot I see an option for "Don't ask for codes again on this computer." The blurb below it indicates codes aren't asked of "trusted computers," so that appears to be what it was changed to. I gather you're not familiar with this process on google. I believe the issue is due to the absence of a service on the TenFourFox browser. The "Trust this computer" bit will appear over the line you mentioned if the browser and MacOS are much newer. For example, on Mountain Lion running the latest version of Firefox. The upshot is, the TenFourFox browser lacks something needed to enable the "Trust this computer" option. Attached is a view of what should be seen. The attachment didn't seem to load... will try again. I don't think I can propose a solution for you. You might consider another browser. Yes, but speaking as the primary developer, I don't use this service and I can't test it. If you need this fixed and you're unable to propose a solution, it's very doubtful I will be able to come up with one. We do have a 17.0.1 update coming out this weekend which you could try, but I don't have any fixes I know of in it specific to this. Okay, I'll do some further investigation at Google to see what change might've caused this anomaly and whether there might be a fix that could be applied to your product. Thanks for your replies.